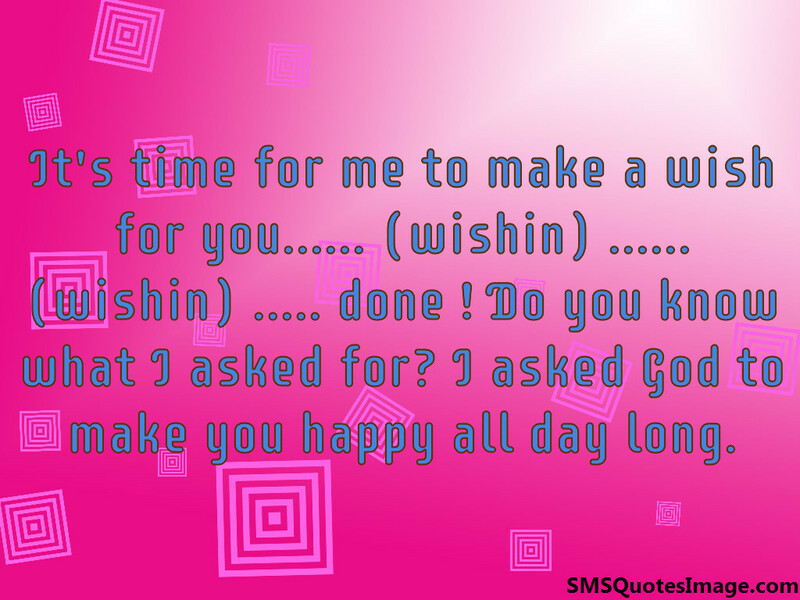 It's time for me to make a wish for you...... (wishin) ...... (wishin) ..... done ! Do you know what I asked for? I asked God to make you happy all day long.